All goods remain the property of Smiling Faces Ltd until payment has been received in full. Smiling Faces must be notified within 7 days of delivery if there are any missing or damaged items. No goods delivered against a customer’s order can be returned or exchanged in part or whole without prior notice and written agreement, in which case the cost of returning the goods must be paid in full by the customer and goods will only be accepted subject to inspection and providing they are featured in the latest catalogue, in perfect condition and in their original sealed packaging. Smiling Faces must be notified within 7 days of delivery if there are damaged items, items will be either refunded or replaced at our discretion following the return of damaged items . In the unlikely event that an overpayment is made in error the amount overpaid will be refunded in full. Information is collected when you place an order, register on our website, sign-up to our newsletter or if we obtained your details at a trade show. If you have subscribed to our newsletter we will store your name and email address in our mail-out system and you may receive occasional emails with new about our products and special offers. You can unsubscribe anytime using the link at the bottom of our emails. Smiling Faces is compliant with the new General Data Protection Regulation which requires organisations to review how they manage data. It is your right to request a copy of the information that we hold about you. 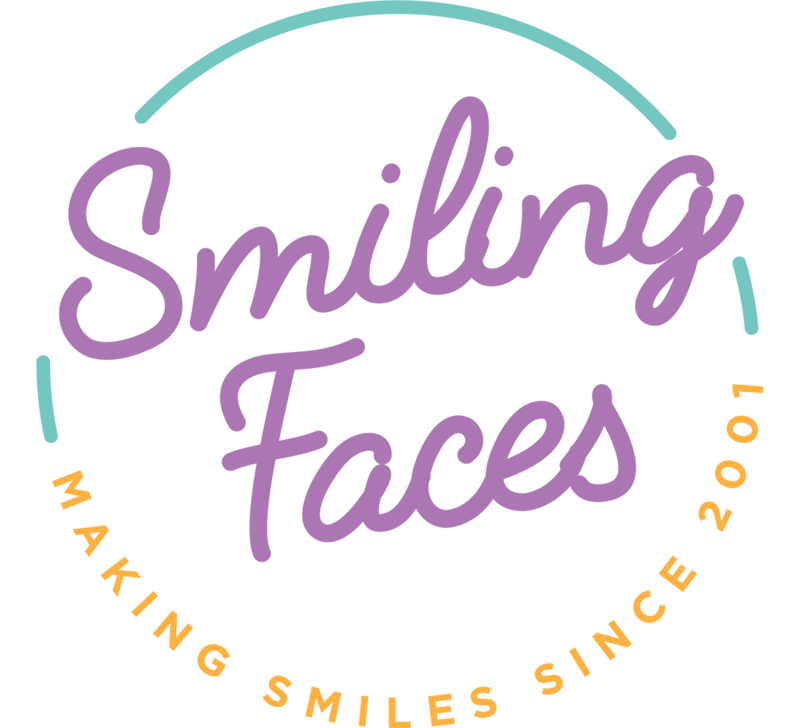 If you would like a copy of some or all your personal information, please email or write to us at sales@smilingfaces.co.uk We want to make sure that your personal information is accurate and up to date. You may ask us to correct or remove information you think is inaccurate.